Speech therapy or rehabilitation is an important element in overall management of patients who have voice disorders. It is conducted by speech language pathologists or speech therapist usually by direct interaction with the patient involved. Cognitive functions, speech components, sensory awareness, and breathing aspects are the main issues addressed. Thereafter, patients practices what being taught and given sessions for follow-up with the number of sessions will be decided based on the pathology involved. Vocal fold nodules, polyp, vocal fold bleeding, contact granuloma and vocal fold palsy are amongst the commonest lesions needing voice therapy. 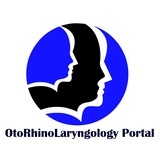 It is also indicated after microlaryngeal surgery of the vocal folds in order to optimize phonation, promote healing process, and in preventing scar formation.